When you desperately need to stick a camera on yourself or your vehicle while doing something exciting, all too often the first name to mind is GoPro. But, after playing around it with it for a while now, we're firmly in the Garmin camp thanks to their Virb Elite Action Cam. Shaped a little differently than the average action cam, the Garmin Virb (and the Elite model, which we tested) is long rather than squat, allowing the LCD display to sit on top of the camera. The entire thing is sealed and waterproof, allowing it to withstand a depth of one metre of water for 30 minutes. 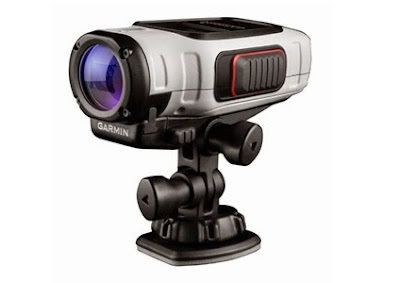 Considering most other action cams require a separate enclosure to be waterproof makes this a real boost for Garmin. 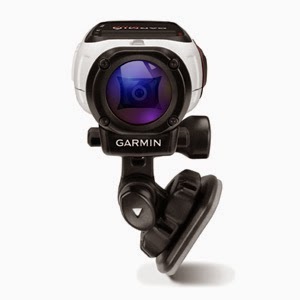 Obviously Garmin are known for their SatNavs, so when it comes to releasing their first venture into the action cam world, you'd expect a little more than the run-of-the-mill, and the Virb doesn't disappoint. As well as recording in variety of modes, including full HD 1080p at both 30 and 60 frames per second, you also get GPS, compass, accelerometer and barometric altimeter. We were impressed. 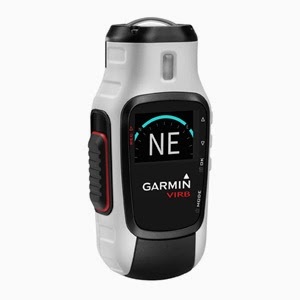 The Virb comes with WIFi as standard, allowing you to pair it with a smartphone via Garmin's app. You also get an innovative quick-release cradle included, allowing you to attach the Garmin Virb to whatever you intend to do something action-y on. There are two surface mounts, one of them curved to attach to helmets, as well as spare parts and joints which tighten up very well. Excuse the bumpiness; that's our suspension-free road bike for you. As you can see the field of view is very good as the Virb as a partial fish-eye lens - nothing too drastic but just enough to draw in more images. You can also take stills (up to 16MB) while recording with just the press of a button, meaning there is no need to stop filming to grab a still. We also really want to mention the ease of use. Although the Garmin Virb Elite is packed with features and has literally dozens of menu choices built-in, what really matters - the ability to start recording - is sorted out simply. The main record button is a locking slider on the left side of the unit, allowing even the thickest gloved of fingers to find it and slam it forward. Couple all this with a battery life of up to three hours and no matter what you're up to, you've got the action covered. The Garmin Virb Elite represents how action cams in the future will be; more than just a camera. With the added tools of the Virb it becomes more of a survival tools than just a standard way of filming something. Great, easy-to-use fun in a hardy, tough as nails package. Nice one, Garmin.